In the video, a woman finds a stray dog in a dark alley and adopts her. She takes the dog to a group of scientists who teach the dog how to drive. And, the next thing we know, the dog is actually ripping the tracks to perfection! We got to admit this is the second best scene of the whole video. 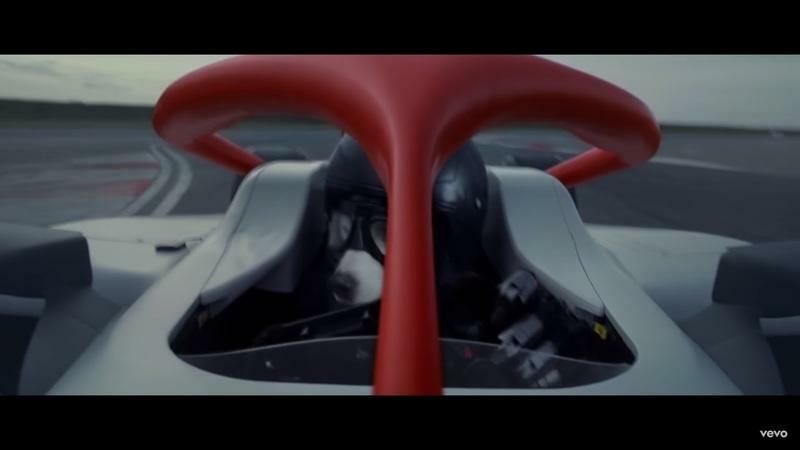 The way the beat drops and they show a close up of the dog driving the car with a black helmet will make you smile ear-to-ear. The next scene is the dog flying a plane. Talk about over-achieving! It reminds me of Harvey Specter’s dialogue - "I don’t have dreams, I have goals. Now it’s on to the next one". The dog maneuvers her rocket through asteroids safely and lands on the unknown planet safely. The scientists and the woman at the station rejoice, but the scientists decide to terminate the dog. Now comes the best part. The Doggo remembers her lesson from the F1 car training to use the ’manual override’ switch, and she aborts the mission and saves herself in the nick of time. The video ends where she is sharing the story with other pups, and says, "And, that, my children, is how the Dog Planet came to be." The video ends on this note, but will surely push you to watch it again. It is filled with adorable scenes of this mixed breed dog, who has lent her voice to the track with barks in between the music. The Chemical Brothers are just killing it with their new album called ’No Geography.’ This song is filled with funky acid beats and tunes that will pump you up if you are into this genre. Is This F1’s Official Theme Song? Interestingly, The Chemical Brothers have collaborated with F1 to create a three-second clip from this very song. This song was said to have been ‘broken down,’ ‘re-engineered’ and ‘accelerated to 15,000 beats per minute, reflecting the 15,000 revs per minute of an F1 car. For some reason, the second clip has a title that takes more than three seconds to read - “WGTT 15000BPM F1 NEEEUM MIX”. Give it a listen and let us know what you think about the song, as well as the F1’s new ’sonic’ identity in the comments section below.